24-bit digital wireless receiver and top-notch dynamic mic/transmitter deliver strong, clean RF performance. 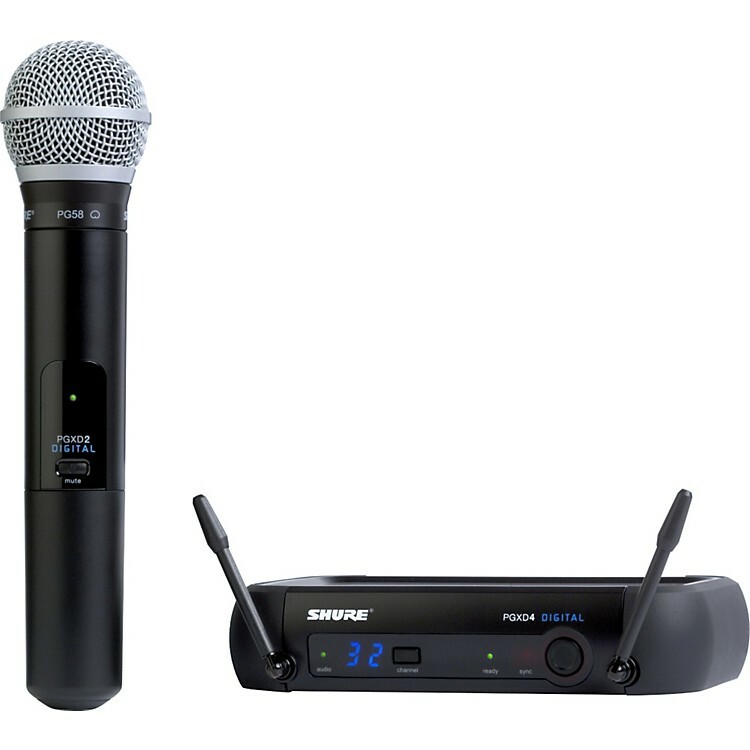 This PGXD24/PG58 Digital Wireless System from Shure adds the clarity of 24-bit digital audio to the legacy of trusted Shure microphone options for wireless performance. This system includes the legendary PG58, a professional quality microphone ideal for lead and backup vocal performance applications. Engineered to be easy to operate, the Shure PG58 lets you capture the imagination of your audience so you can get your message across. Just as artists, visionaries and social leaders across generations and around the world have done with Shure products for more than 75 years. The Shure PG58 has a tailored frequency response that is smooth, extended and is tuned specifically for vocal applications The cardioid polar pattern picks up the most sound from in front of the microphone and some sound from the sides and is less susceptible to feedback. The dynamic cartridge has a simple, rugged coil and handles extreme volume levels without distortion. Besides the PG58 microphone, you also get a PGXD4 wireless receiver, PGXD2 handheld transmitter, padded case, and a microphone clip. Get pure digital sound without being bogged down by wires. Order this wireless system today!